Here is our Useful Guide to Retargeting Ads. You may have heard the term retargeting, but what you possibly don’t realise is how often as consumers we are retargeted to. Retargeting is a powerful digital marketing technique that can market your business to people who have shown previous interest in your products or service offering. Site-based retargeting – the practice of serving ads to people who visit your website after they leave. Email retargeting – the practice of serving ads to people who open your emails. CRM retargeting – the practice of serving ads to people with nothing but an email or mailing list. Search retargeting – the practice of serving ads to users who search for one of your keywords while browsing the web. 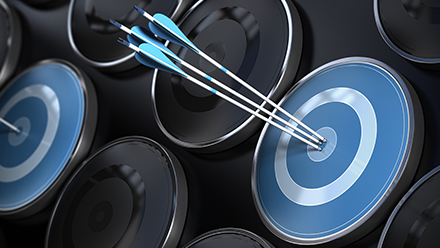 Can you benefit from retargeting? This digital marketing technique can be effective for both B2C and B2B marketers. Ecommerce companies can benefit by bringing back bounced traffic and shoppers who have abandoned their online shop. B2B companies see success with this strategy because it enables them to stay in front of leads during longer purchase cycles. In fact, B2B retargeting campaigns often perform better than retail campaigns. The strategy can be applied in numerous ways; if you have a website and you’re not seeing 100% conversion rates, retargeting could help improve this. Retargeting is most effective if you segment your visitors for example people who looked at certain sections of your website and tailor the retargeting ads shown to each group, or not retarget them at all, for example people who converted. Different products warrant different retargeting time windows, for example people shopping for travel should be retargeted immediately; people shopping for luxury goods should be retargeted later. To get the most out of your retargeting ads it is good practice to include them as part of a wider digital strategy that is designed to drive traffic to your website, the more traffic you have the more people you can retarget to. So, before you consider running a retargeting campaign look at promoting your business via social media marketing, content marketing and PPC to make the most of the opportunity. If you have any queries or you would like to drive more traffic to your website get in touch on 01527 517309 or fill in our contact form.